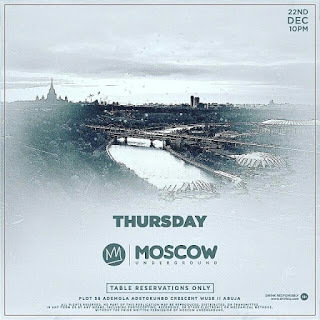 The Weekend is about to go down and Moscow Underground is Ground Zero to get the festivities started!!! Pause that which is no longer meaningful. Venue: 35 Adetokunbo Ademola strong, Wuse 2. WE ARE TAKING YOU ON AN EPIC ADVENTURE!! !